Jaimala or varmala ceremony is the occasion when the groom and bride exchange garlands and a wedding is considered incomplete unless the groom and the bride exchanges the special garland of flowers representing a moment of happiness and a bond of faith and love. It is one of the most important ceremonies where all the hearts begin beating fast and eyes remain wide open with a beautiful smile on everyone’s face. Jaimala is a moment treasured by the bride and groom for life. Though a traditional ceremony, now a days Jaimala has become popular with number of innovative concepts and themes. At Fairytale Wedding, we provide you with a number of contemporary Varmala themes and concepts. Our team of professionals put in their relentless efforts to create the theme according to your choice and we even create personalized themes to narrate your special story in a unique way. To make your day memorable and incredible, choose our specialized team of experts for planning your wedding and see what magic we do to create your eternally memorable moments. 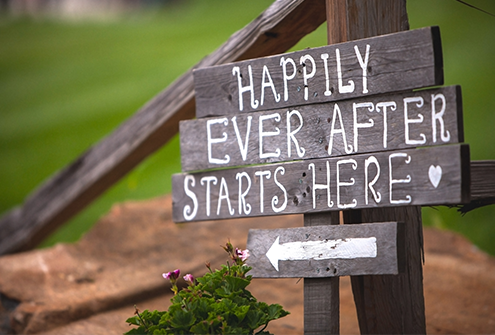 At Fairytale wedding, we offer a unique and ultramodern themes for Bride & Groom’s Entry. Bride/Groom are the center of attraction and we understand the that their welcomeshould be done in a fabulousway with elegance that catches the eye of all the guests present during the Wedding ceremony. All you have to do is to enjoy and our team will take of all things from stage setup for Jaimala, Lighting Setup, Flower Showers, Fireworks, Confetti Blast, Hydraulic Lift etc. 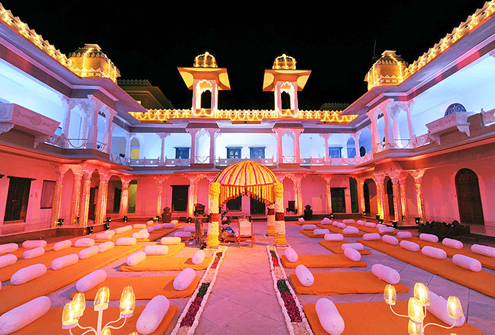 We have a different royal entrance themes for Bride like moon,crystal,peacock,lotus palanquin just to name a few.We have different welcome themes for our Grooms also, these includes Maharaja Chattar, Baggi, Vintage Cars etc. Our team put their sincere efforts to make the entry of Bride& Groom spectacular and dazzling so that it become the talk of the town. We at Fairytale wedding believe in creating an outstanding impression of opulence and richness leaving an indelible impression on the minds of your guests and making your wedding a celebrated affair. 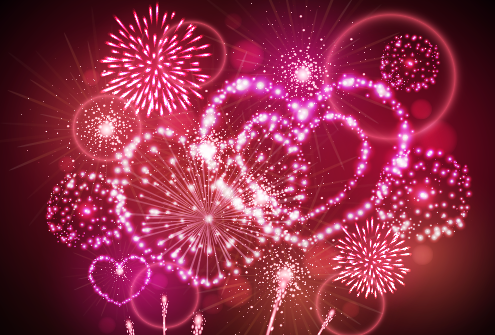 Fireworks are the true embodiment of celebrations and happiness. We organize a vast array of dazzling fireworks to leave a lasting thought on the minds of our clients.We use only the high quality fireworks to offer maximum safety and security to our clients. We make sure all the firework is done with utmost care and by experts. We offer wide variety of fireworks to provide our clients with the choice from different firework display customized according to their budget and requirements. In additionto the fiery display of scintillating sparkles, we also offer an ecstatically lively and electrifying ambiance. Keeping in mind the importance of Jaimala ceremony, we offer our clients with eclectic collection of heart- stopping themes to select from, for your special day. Ranging from space ship theme, Diamond theme, London Bridge Theme, Lotus Theme, Book theme, Kalash Theme Global theme, Harness Theme, Moon Theme, Heart Theme, LED Theme, Crane theme, Shell theme, Statue of liberty themes, Rajwada Theme, Led Waterfall Theme etc we have it all covered for you. Our team of expert personnel will even create themes customized according to your preferences and may even create theme that depicts your special story. To make your day stupendous and to leave a lasting impression on the minds of your guests, give us a chance and experience the magic that you have never experienced before.